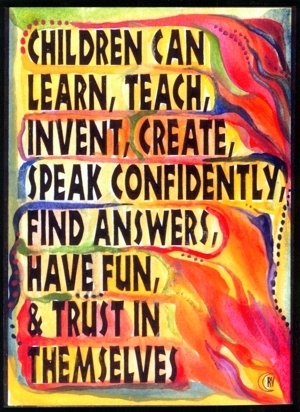 Poster or print of Raphaella Vaisseau's original What Children Can Do motivational quote for children. It's an inspirational print to instill confidence, self-esteem, and trust in themselves and their abilities. Great as classroom decor or wall art in a child's bedroom, the words on this poster support children in aspiring to think outside the box, and make discoveries about themselves and the world they live in. Words are powerful. What we affirm we can strive for until our believing makes it so. Support and empower children. Encourage invention. Applaud ingenuity.